I’ve yet to meet someone who doesn’t love the smell of fresh bread baking in the oven. Even those poor souls who are wheat intolerant or can’t cope with gluten can’t fail to salivate at the scent of gentle rising loaves. There is a quiet revolution going on in the kitchens of Britain, more and more of us are baking bread at home on a regular basis. As I’ve mentioned in my sermons I’ve caught the bug too. When the postman delivered my first sack of flour (yes I’m that serious) I apologised for putting his back at risk. Oh don’t worry mate he replied I deliver several of these each week. Now not a week goes by without me baking a couple of loaves. “I wouldn’t say I was having a crisis, but I was drinking quite a lot of red wine,” he says. 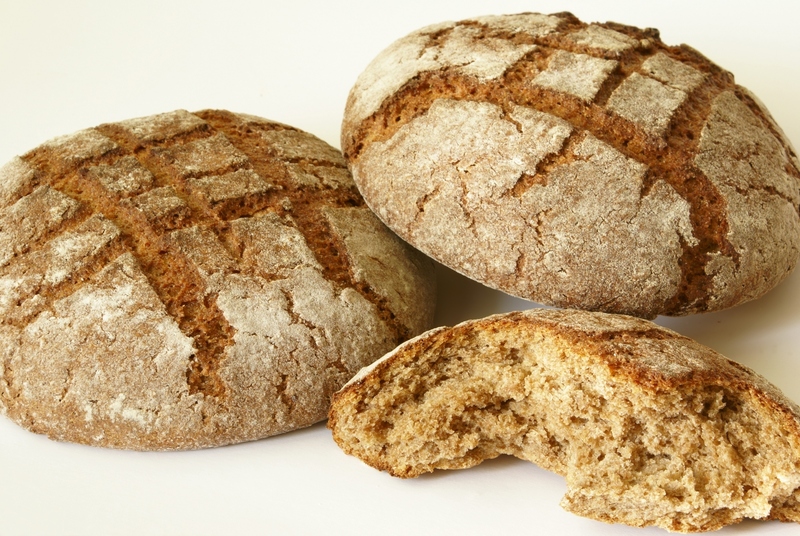 “I needed some bread and there was some wholemeal flour and yeast my mum had brought out, so I baked a loaf. My father rang and said: ‘So what are you going to do with yourself now?’ I said: ‘I’m thinking about becoming a baker.’ I thought he’d laugh but he said: ‘That’s quite a good idea. '” He goes on to describe how baking has given him a new sense of purpose. For me there is an extra dimension in making bread too. Bread connects people. As I’ve said few of us can resist the smell of freshly baked bread. I’ve discovered there is an army of closet breadmakers in West Bridgford and have found myself in deep conversation about the virtues of fresh yeast vs dried yeast; overnight proving in the fridge v proving for a few hours in the kitchen. And of course bread tastes better when it is eaten in the company of others. I learnt to bake bread at the bakery of French baker Richard Bertinet. After a morning sweating over the ovens baker and students gathered for a meal together. Richard explained the derivation of the word ‘company’, from the old French ‘cumpanie’ meaning those who ‘share bread together’. Companions – those who share bread together. There is an obvious connection here for Christians. We gather together each week in the presence (company) of God for worship. The sacrament of being together is Communion, where we break bread together, drink wine and remember the last meal Jesus shared with his companions. A meal where he took bread, gave thanks and broke it for them saying ‘this is my body broken for you’.